You could have read this stuff throughout the entire year. Or you could have waited until this very moment to see it all in one place. Either way, well played. 2018, we hardly knew ya. Seriously, why are the years moving so fast? Let’s slow things down a bit and take a look back at a year we can’t believe is already over. 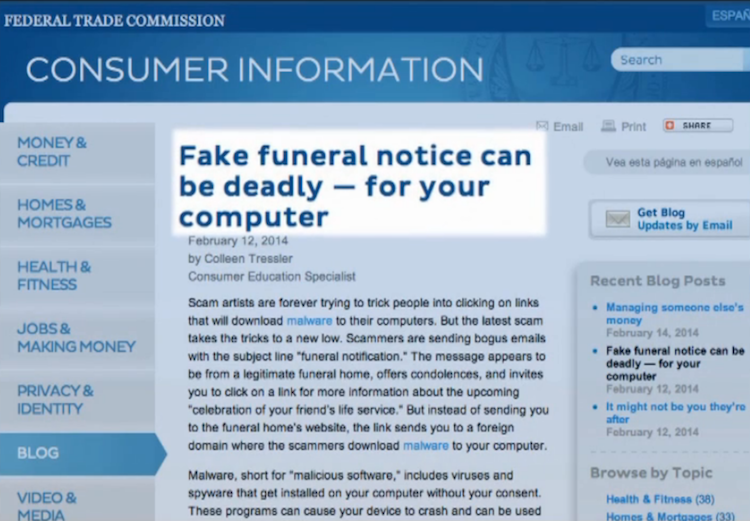 It’s bad enough when hackers steal credit card information from shopping sites, but now they’re targeting grieving friends and families, according to a news report from WTSP.com (@WTSP10News).